Advanced Geotechnical Laboratory Testing - Thurber Engineering LTD.
A laboratory testing program is an integral part of all significant geotechnical investigations. While standard index tests such as Atterberg limits and grain size distributions are performed for routine projects, the design of major structures requires more advanced testing to determine strength and drainage properties. 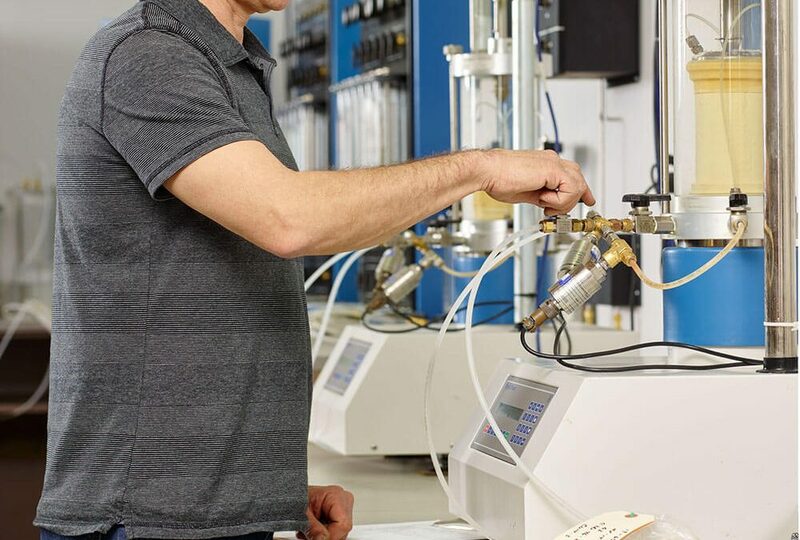 Thurber can provide advanced laboratory testing such as triaxial testing, direct shear testing, permeability testing, consolidation testing and durability testing.